I want to know does Nokia 225 supports call recording? very beautiful phone. design is very good. if it will be supported the features of c5 ,it will click in the market any thing like. Very disappointed - Worst design, a crack develops from the torch light hole of the back cover and develops till the bottom... with in a day of purchase; and sadly the warranty doesn't cover it, also the display panel and keypad panels come out of position. Worst quality, not worth the price at all. abc, 21 Jun 2014dear friends, I need a basic phone. 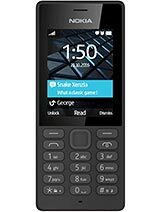 Priority is best call quality & longest battery..no... more301 or 206 , when you send a message on this it flickers of black, then comes back. Little bit cheap nokia cmon. I need a basic phone. Priority is best call quality & longest battery..nothing else. pls pls suggest me from a good brand. belive me freinds its not a good mobile. please dont lost your mony. its camera qulity is not 2 mp. just like 1;3 mp. now no much more nokia. nokia becomes down and more down. it does not sport any more app. it does not support ovi store . no more app can be installed in it. . its just slim. and noting more. and price is so high according to its quality. please dont buy nokia mobiles. if you want to save your mony. annnnnnd if you want to lost your mony buy gain and again nokia phones. 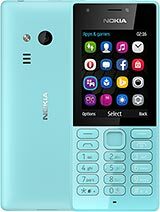 how to record call in nokia 225 ?